Jeep brought this year. Most of it was revealed in the ramp-up to the show, but the off-road vehicle manufacturer kept one under wraps until to doors open at the Palexpo. And here it is. The Jeep Wrangler Rubicon 1941 showcases a broad range of upgrades fitted by , the Fiat Chrysler group's components division. And if you like what you see, you can buy just about all of them from the Jeep Authentic Accessories and Jeep Performance Parts catalogs to outfit the off-roader of your dreams. 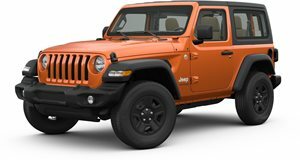 At any rate, the Rubicon soft-top is fitted with just about everything that Jeep and Mopar could throw at it. And that extends far beyond the fresh coat of Hella Yella paint.